I am loving the Splendid Sampler. If you’re not on board, jump in at any point, the water’s fine. So are the people–from all over the world. And everyone’s blocks are all so different! I was afraid we’d all end up with the same quilt, but everyone’s personality is shining through. Here’s your link to jump in. Here’s the Splendid Sampler Facebook page. Because of recent happenings in my life, I got started a little late, and many people haven’t started at all. Some are just enjoying looking at others’ blocks. I’ll share with you where I am so far. 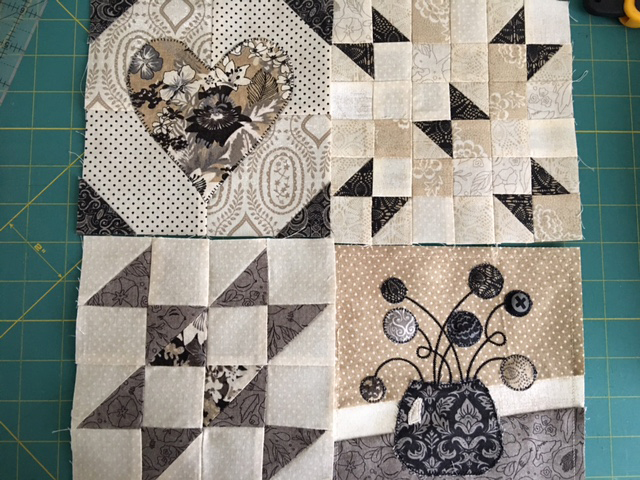 I am missing one of the blocks which I haven’t had time yet to go back to, but another block came in today that I think will be fun to add. The fourth block, the vase and flowers (kudos to Jen Kingwell) probably inspired some of the most creativity so far. The blocks have been stunning and all different. 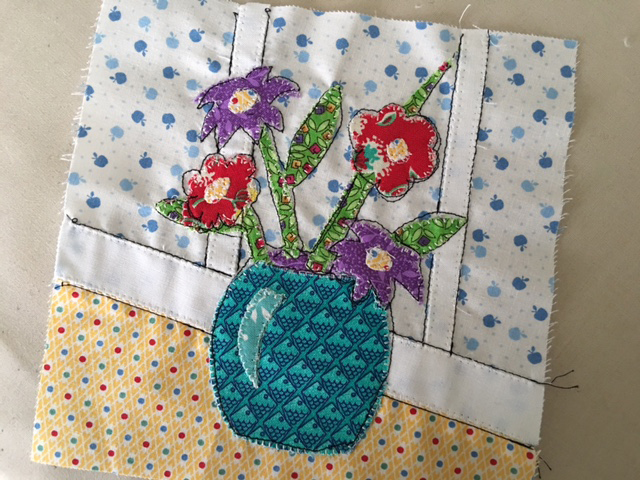 I created mine in Bernina Embroidery Software, but many others stitched theirs out by hand or did machine applique. Like others, I am keeping a file of all the blocks and their instructions. 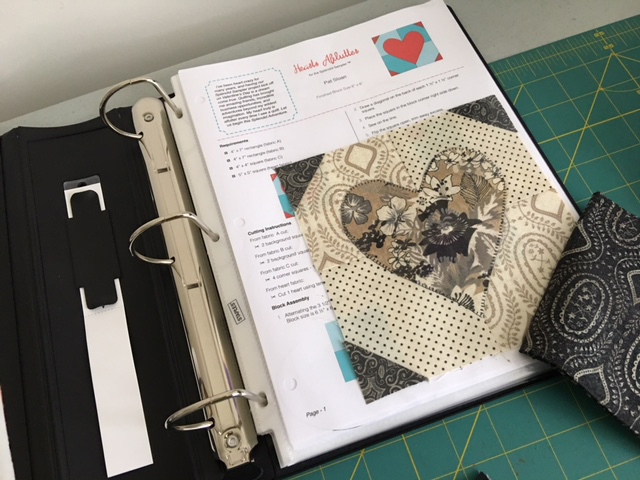 While I am in love with the color story of “Black Tie Affair” which I have been using, I am also adding some little touches from my own stash. 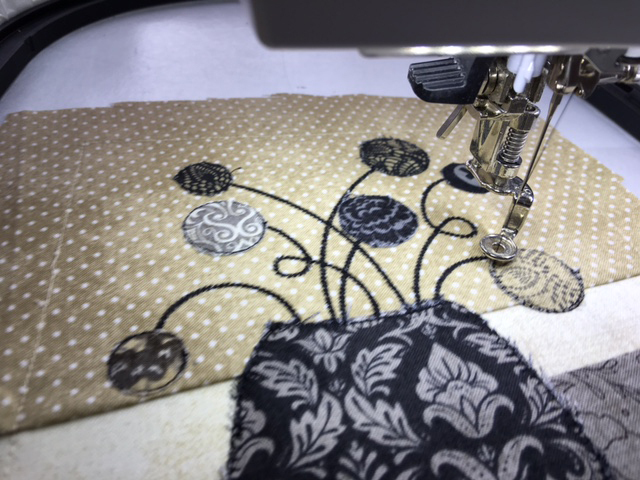 As Bonnie Hunter reminded folks, a quilt is always more interesting when all the fabric doesn’t come from one collection. I agree. In fact, I also did the little vase block in a whole other color story, just to see how I’d like it. It’s a little more ‘folksy” as I free motioned it, and I think it has it’s own charm. So maybe I’ll run some parallel blocks with these brighter colors too! Truth is, anything can happen this year! I intend to do as much as I can, when I can. Don’t try to keep up with everyone else. 6 inch blocks sound easy. They’re not. They take more time than many 12 inch blocks. Enjoy everyone else’s blocks: get inspired, be challenged, but do your own thing. 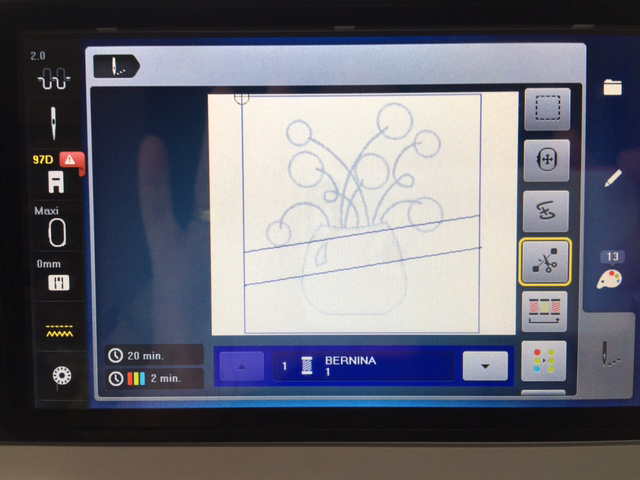 This entry was posted in digitizing, embroidery, machine embroidery, quilting, The Splendid Sampler and tagged Bernina Embroidery Software 7, machine embroidery by edges. Bookmark the permalink.